Nestled in the trees on the side of Loon Mountain, This custom home was built by Cobb Hill Construction so the quality is easy to see and feel as you walk about. This home features 4 bedrooms and 2.5 bathrooms Large enough to bring the whole family and their friends. The home features an upscale kitchen for the cook in the family, comfortable living room, separate dinning, beautiful sun room, large sunny deck, and beautiful landscaping. The 2 car garage is approximately 625 sq ft, with another 325 sq ft above that could be finished for extra living or entertainment space for the kids. 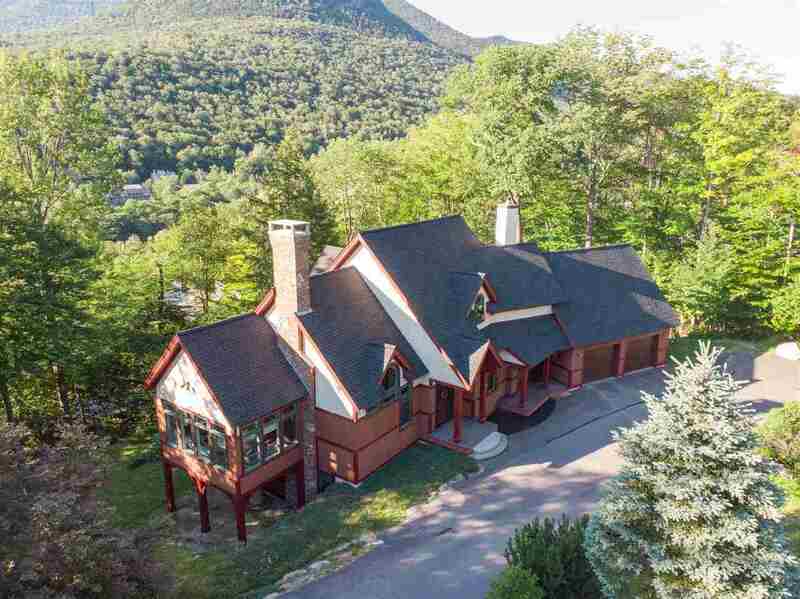 Located within walking distance to the slopes , the pemi river and hiking and biking trails on the easterly side of Loon Mountain adjacent the White Mountain National Forest.